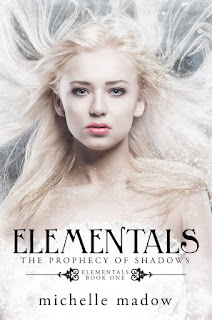 Vibin With Books: ELEMENTALS: THE PROPHECY OF SHADOWS by Michelle Madow + giveaway! 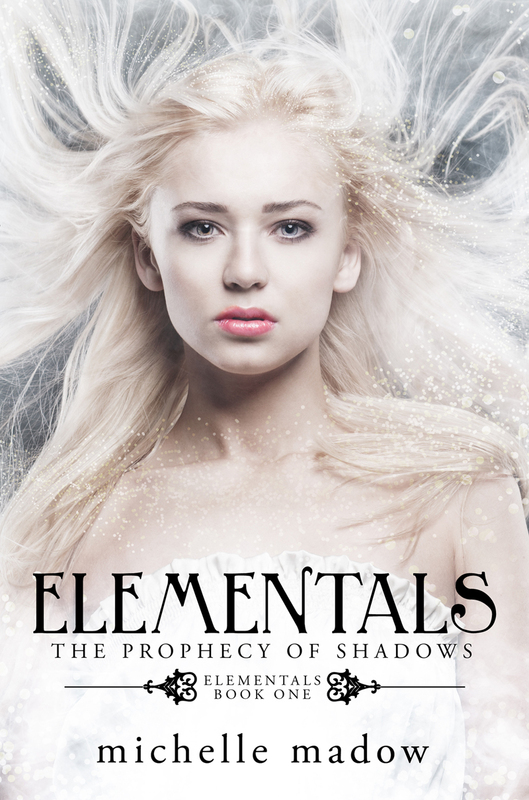 ELEMENTALS: THE PROPHECY OF SHADOWS by Michelle Madow + giveaway! When Nicole Cassidy moves from sunny Georgia to gloomy New England, the last thing she expects is to learn that her homeroom is a cover for a secret coven of witches. Even more surprisingly... she's apparently a witch herself. Despite doubts about her newfound abilities, Nicole is welcomed into this ancient circle of witches and is bedazzled by their powers- and, to her dismay, by Blake- the school's notorious bad boy. When the Olympian Comet shoots through the sky for the first time in three thousand years, Nicole, Blake, Danielle, and two others in their homeroom are gifted with mysterious powers. But the comet has another effect- it opens the port to the prison world that has contained the Titans for centuries. After an ancient monsters escapes and attacks Nicole and Blake, it's up to them and the others to follow the clues from a mysterious prophecy so that they can save their town... and possibly the world. This was a really fun start to Madow's new series! I've never read any of her previous work, so I was eager to jump into her new world. 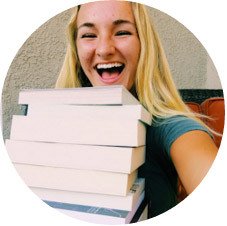 Nicole was strong, albeit a little naive, and I really enjoyed reading from her POV. She was cute, honest, kind, and caring, always willing to listen to others and hear them out, but also confident in her gut instinct. It really made her stand out. I surprisingly really liked Blake. He was not the bad boy I thought he'd be, and instead turned out to be sweet and fiercely protective of those he cares for. He really surprised me during a certain scene with him and Nicole in the cave. Hubba hubba! You sly guy, you. The rest of their group was delightful, and I kept picturing Danielle as Jade West from Victorious. Super random, I know, but her hard exterior and wicked fashion reminded me of her. I had mixed feelings with her, since I thought she was an entitled brat, but she was a smart entitled brat. She literally was always piping up with useful information that helped the group in staying alive, so I had to grudgingly accept that yes, she's okay. The plot line kept me hooked, with either lots of fascinating information on the witches background or Greek mythology (which I LOVE), or this mysterious prophecy they're trying to decipher, which takes up a good chunk of the book. Overall, this was a fast-paced and entertaining read that will be perfect for anyone who enjoys a superb blend of paranormal and Greek mythology!